Intersolar Europe is the world’s leading exhibition for the solar industry and its partners and takes place annually at the Messe München exhibition center in Munich, Germany. Since being founded 27 years ago, Intersolar has become the most important industry platform for manufacturers, suppliers, distributors, service providers and partners of the solar industry. Part of the Intersolar annual event are the Smarter E Awards, which pay tribute to innovations in two categories. The Smart Renewable Energy category honors outstanding, innovative business models and pioneering solutions in the area of sector coupling, while the Outstanding Projects category recognizes projects undertaken in the areas of solar, storage, energy management and clean transportation. The Smarter E Awards this year will be announced no 20 June, and the finalists to be considered for the award have already been announced. 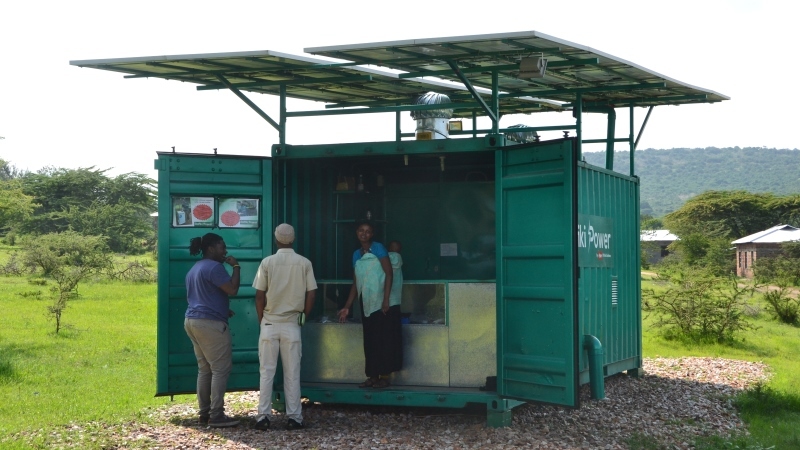 One among the finalists this year is Rafiki Power and Trojan Battery for their microgrid project in Tanzania, Africa. The remote microgrid features maintenance-free, non-spillable Trojan deep-cycle Solar AGM batteries as the energy storage solution and provides electricity to homeowners and businesses which previously never had access to power. Rafiki Power means “friendly power” in Swahili and it is the brand name established by E.ON Off Grid Solutions for its projects in Tanzania. Rafiki Power is responsible for supplying electricity to more than 70 residents, businesses and local law enforcement in Ololosokwan, Tanzania. The remote operation of those systems is enabled by the Asset Monitoring and Management Platform (AMMP), Rafiki Power’s unique smart microgrid monitoring and management platform. The energy storage provided by the Trojan Solar AGM batteries has increased the standard of living of the residents, improved education, and enhanced overall economic development. “Trojan is proud that our batteries have made such a significant impact on the lives of the residents and have made it possible to establish successful local businesses,” said Michael Grundke, general manager of EMEA for Trojan Battery. The microgrid is located in Ololosokwan village in Tanzania. One of the prominent businesses in Ololosokwan, is Maasai Honey which was established to provide an opportunity for the women in the village to create a business which they manage and profit from. The co-op is a beekeeping project that focuses on teaching the local Maasai women how to harvest honey and provides them with a sustainable income. The implementation of the microgrid by Rafiki Power, enables Maasai Honey to now access consistent electricity to power its business operations, such as lighting and computers. Future plans include integrating electricity with the honey processing operation to enhance and expand honey production. Here’s wishing good luck to Trojan Battery for the final announcement of the Smarter E Awards!